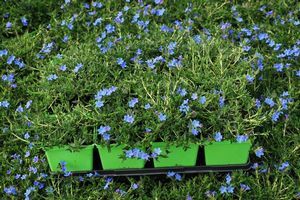 There are few flowering plants that have such a contrast of bright blue flowers and deep green foliage reaching 4-6”. It has nice texture and spreading mat form. It flowers in the spring with some reblooming in the fall. 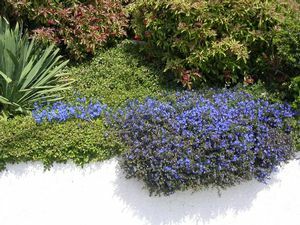 Grows best in full sun and well-drained soil, trim back after blooming. 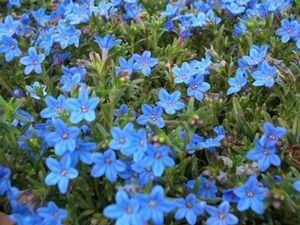 Considered a tender perennial in our area, it is a drought tolerant plant worth having in any sunny garden spot.